Erzgiessereistrasse, 15, 80335 Munich, Germany. 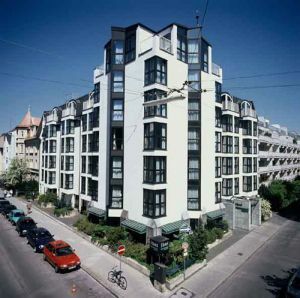 Erzgiesserei Europe Hotel is a central hotel with easy access is near the central railway station, exhibition centre, Marienplatz and the park which is home to the famous beer festival. The hotel offers 106 air-conditioned guestrooms that are comfortable, well furnished and equipped with modern facilities. Facilities include Restaurant, conference and banquet facilities for up to 80 guests for all types of celebrations or meetings. Paid covered parking at the hotel (12.00 €). Please contact the hotel for further information about the cancellation policies. Children less than 6 year(s) old: free of charge. The Eurostars Grand Central is a spectacular hotel with impressive architecture and modern interior design.